Tickets to Ghostbusters Fan Fest, which was previously announced earlier this year on Ghostbusters Day, are now available! 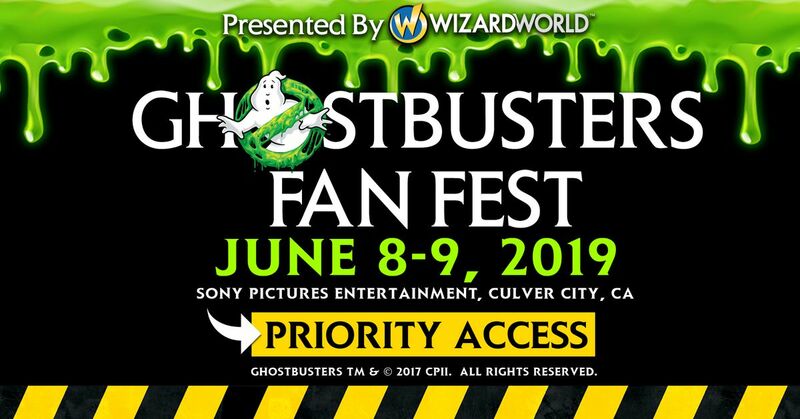 Fans can now purchase priority access to Ghostbusters Fan Fest to not only secure their spot on the very limited Sony Pictures lot, they will also have priority selection and guaranteed availability of all tickets and packages when they are announced at a later date. Visit Ghostbusters.net and learn how to get first choice of tickets and packages for #Ghostbusters Fan Fest, which takes place on the 35th anniversary of the original film at the Sony Pictures lot! Purchasing priority access will also allow you first choice of packages, and serves as a fully refundable deposit which will be applied to the total cost of the event! Ghostbusters Fan Fest truly is a dream come true for fans who have been wanting to meet in person, celebrate with Ghostbusters creators, talent and crew and take photos with the Ghostbusters Ectomobiles. Act now and secure your spot today!